Khalil Mack is long gone from the Raiders. As the NFL draft approaches, the Oakland franchise will need to cash in its three first-round picks for at least one high-impact edge rusher to replace Mack, traded to the Chicago Bears just before Week 1 of the 2018 season. But is it even possible to replace Mack? 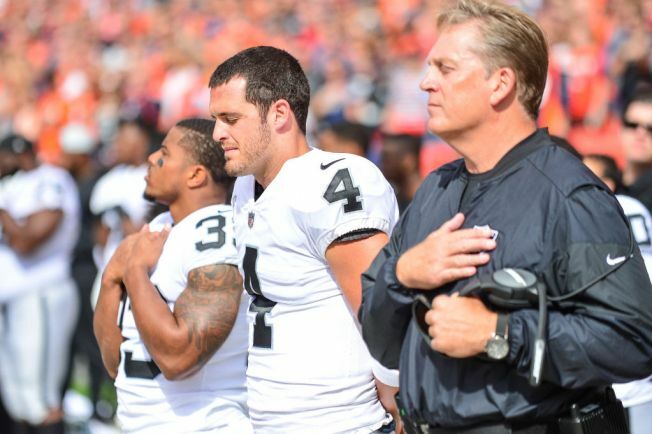 Former Raiders head coach Jack Del Rio, who was fired in favor of Jon Gruden after the 2017 season, seems to have his doubts. Del Rio, interviewed Monday on the NFL Network, indicated that if he had been in charge of the team, Mack would still be wearing silver and black. Del Rio did admit the Raiders received “good value” from the trade, getting a first-round choice in both 2019 and 2020, as well as a second-round pick in 2020 and a sixth-round choice later this month. The Raiders will have the fourth, 24th and 27th picks in the first round of the draft, scheduled for April 25. Del Rio coached Mack and the Raiders from 2015 through 2017, compiling a 25- 23 record and earning one playoff berth. Mack had 36½ sacks over that period. In 2018, the entire Raiders defense had an NFL-low 13 sacks – 17 fewer than the Patriots and Giants, who had the next-lowest total with 30.